← Feeling Low? It’s Time to Take a Look in the Mirror. You are on the right track, Penny. You might want to take a look at Choose Life Now which is a program that I developed for people with goals just like yours. You want to make sure you have adequate protein, so you can study how to get it through a plant-based eating plan. I followed this plan, lost 10 pounds, felt better, and drew nearer to God. I love the results so much, I want to modify my regular diet radically. I’m wondering if I can live a lifestyle that adds a few items back in, but remains closely aligned with the fast restrictions. I’m breastfeeding a 20mth old baby, so I want to make sure I make healthy choices so that my body and her body do not become deprived of nutrients. I would like to continue to restrict sugar, meats, and dairy. I would like to add coffee and tea back into the mix. I may allow desserts, meats, and dairy on occasion, but definitely the exception rather than the rule. When I told a friend about the results of my fast, she asked me about my blood type. I’m an A+. She told me that the A blood types were great candidates for a fully plant based lifestyle. Does anyone have any suggestions or advice for me? Yes Elizabeth you can do it with the help of the Holy Spirit! The first time the Lord placed it on my heart to do a 21 day first I was fearful because I knew that of myself I couldn’t do it. I told the Lord that I needed His help and He provided the strength, determination and commitment to be obedient to His request. I have been fasting ever since. As I look back over the years I can see how much I’ve matured spiritually and how intimate my relationship is with Him. What an amazing and exciting journey this is. Be blessed in your fast. Yes, you get it . . .
My prayer is that your wife (and so many others) hear the call of the Lord and respond to Him. He wants the to draw near. Be blessed and I will pray for you . . . maybe a daily and loving time of prayer for you and your wife will help open her spiritual ears. I must agree with your words high jacked. Even the questions from your readers it’s all about the food or feeding the flesh. My heart hurts as I watch the devil work to keep a spiritual journey about the flesh… It’s happening in my house as I write this and was searching for answers to my heart ache. My Wife who is a total blessing in my life heads into a Daniel fast with a day of shopping for food, continues to play Candy Crush, watch House Wives of anyplace, and continues down a path that this is a spiritual journey? Please pray for my house and so many houses that The Daniel Fast is a journey of closeness with the Lord. Thank you for your encouraging words, Elizabeth. Be blessed on your fast. Our God is so good. thank you for all your advice and all your great recipes. 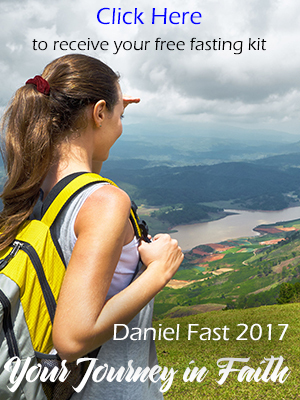 I truly believe God is doing something great in your life with the Daniel fast books and I love this website. it has everything. this is going to be my second time doing the Daniel fast. the first time I believe I didn’t do it according how it was suppose to do. I start Monday and I cant wait!! I know it wont be easy for me, but I know that I cant do this with the Holy Spirit cheering me on. thank you so much for your food list, you ideas and all the great information. may God Bless you each and everyday. may He bless you and keep you. Blessings. My first time doing the fast was January 2014. I feel that it truly blessed my life and improved my relationship with God. I will start the fast January 2015. I will keep it very simple as I did in 2014. Thanks for your encouragement. Thank you for directing us to this previous article. It is so desperately needed especially now as we prepare to fast at the beginning of the new year. Continue to do what you do best: follow God’s leading as He speaks to your heart in shepherding His people through the discipline of fasting and extended prayer. 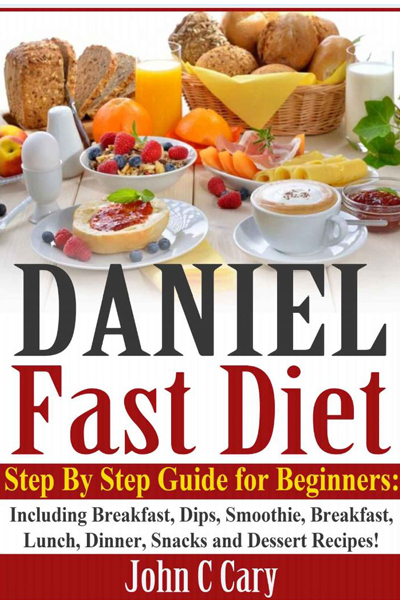 I will begin may fast on Monday, January 5, 2015 because Monday is usually our no-meat day. I have already began to taper off from tea and sweets. 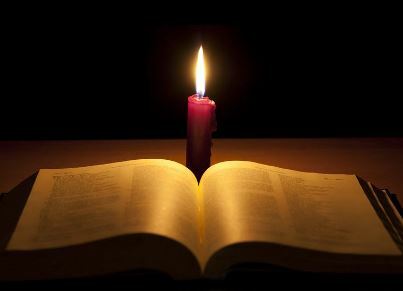 My main purpose is to draw closer to God: by developing the disciplines of listening and meditating on the Word, spending more time and being more aware of His presence. I want to take my focus off of food, so I am preparing to keep my meal plans very simple. Thank you again for your faithfulness.